I don't really know how to use a sewing machine. When I shared this with a friend who also lacks this skill, she lamented, "I remember threading the machine in Home Ec, but I can't for the life of me remember how, even though it was only twenty seven years ago!" Roger, that. It's a wonder that we can't conjure up that lesson. 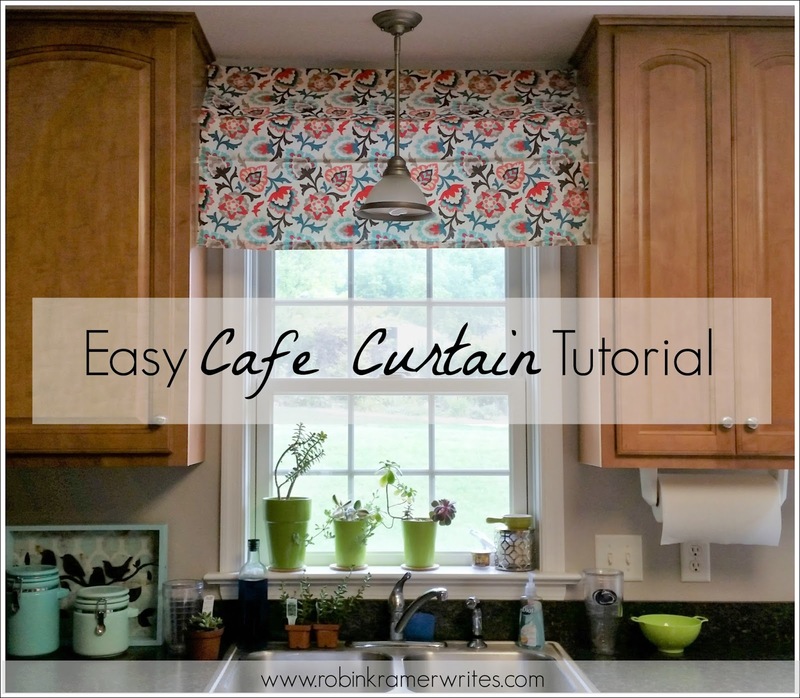 At any rate, even without any discernible sewing skills, this summer I made a cafe curtain that adds a fun pop of color above my kitchen window. The secret is in something very ordinary: three tension rods. Here's how to duplicate the project in your own home. First, measure your window and cut a piece of fabric to fit the width, with roughly 1-2 inches buffer on the sides for hemming. 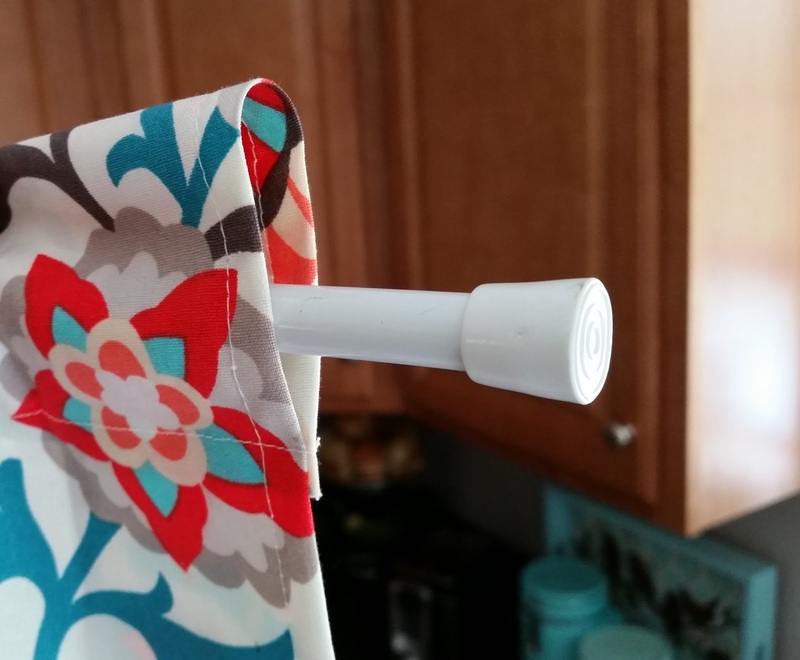 If you don't have access to a sewing machine (or a supportive neighbor who will talk you through the process), you can either a) stitch a simple hem by hand, or b) use iron-on hem tape, which would work just as well. 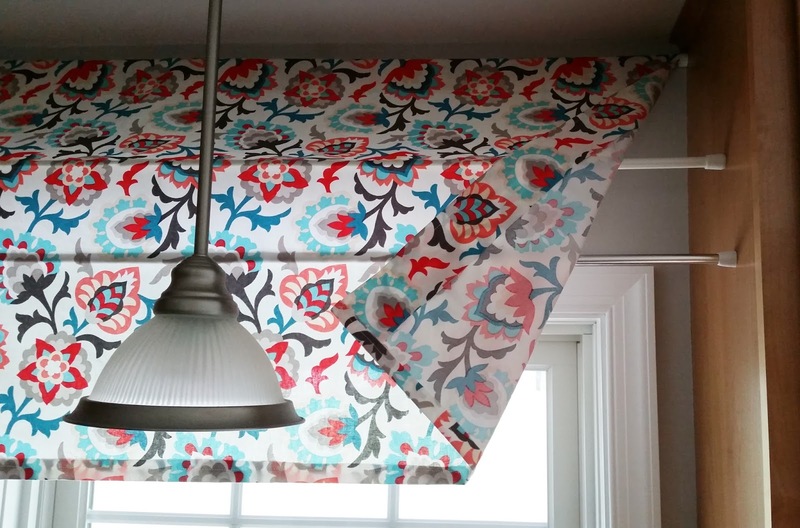 Third, at the top where the curtain will align with your ceiling, create a slightly wider hem. You will slide a a tension rod through this pocket. Fourth, arrange and secure two additional tension rods between your cabinets, slightly lower and forward, to serve as the framework. 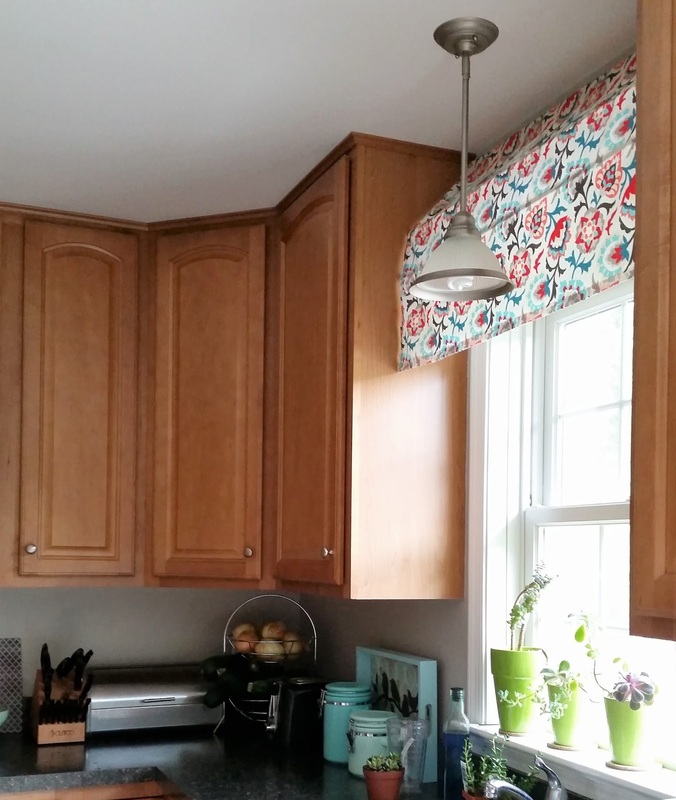 Finally, hang your top tension rod (curtain attached), and then let the fabric drape over the two lower rods. Adjust the placement of the rods to your liking to achieve the desired "bump out" shape. Enjoy, and feel free to leave a comment to let me know your thoughts! What a neat idea. Very simple but very effective. Well done. Oh my goodness, I love this and got all excited to do this... and then I remembered that one of the cupboards beside the window is an open shelf style. OH SNAP. So disappointed. I had visions of threading the sewing machine and pushing the pedal to the metal. Oh well. Well done Robin. 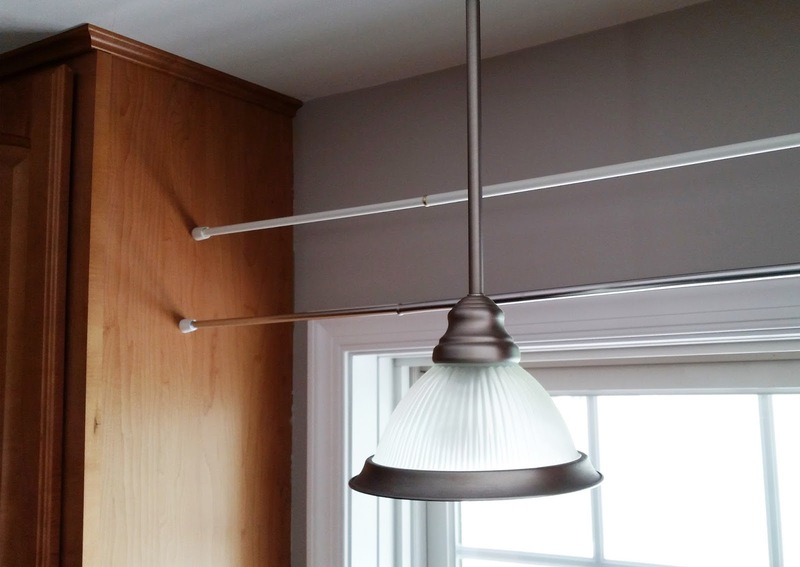 This is a brilliant design hack (I love that there's tension bars instead of hardware). Still glad you like the design hack! Fantastic work! Love it so much!